Multicomponent intervention programs have been shown to be effective in reducing risk factors associated with falls, but the primary target population of these interventions is often low-functioning older adults. 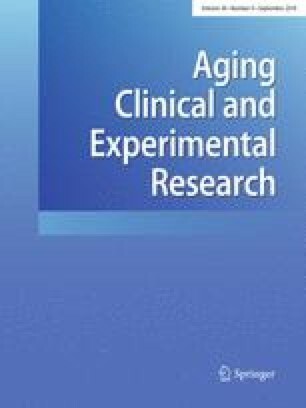 The purpose of this study was to investigate the effectiveness of a multicomponent intervention program focusing on balance and muscle strength for independently functioning community-dwelling older adults. Fifty-three independently functioning older adults, aged 80.09 ± 6.62 years, participated in a group exercise class (conducted 2 times/week for 8 weeks) emphasizing balance. Outcome measures were balance performance using the Fullerton Advanced Balance (FAB) scale and muscle strength using the Senior Fitness Test (SFT). The intervention improved balance (P < 0.001), and older adults who were classified as having high fall risks based on the FAB scores at pre-testing improved more than older adults who were classified as having low fall risks (P = 0.017). As a result, 22 participants transitioned from a high fall risk group at pre-testing to a low fall risk group at post-testing (P < 0.001). The intervention also enhanced both upper and lower muscle extremity strength based on SFT results (P < 0.001) regardless of participants’ classification of fall risk status. The multicomponent intervention conducted two times per week for 8 weeks was effective in improving balance and enhancing muscle strength of independently functioning older adults. The results underscore the importance of providing fall prevention interventions to healthy older adults, a population often not a target of balance interventions. This research was supported by a SCAN Health Plan grant. We are grateful to the Osher Lifelong Learning Institute at the California State University, Long Beach, and the Leisure World® Seal Beach, CA, for their assistance in the participants recruitment. We also thank many student assistants from the Department of Physical Therapy and the Department of Psychology at the California State University, Long Beach for their help in data collection and data analysis. This study was partially funded by a Grant from SCAN Health Plan. All procedures performed in this project involving human participants were in accordance with the ethical standards of our institutional review board and with the 1964 Helsinki declaration and its later amendments or comparable ethical standard.